While is is incredibly challenging to choose just one of these awesome recipes, I would have to go with the Wisconsin Cheese Garden Lasagna. There is so much good local produce to be had and love that the recipe combines both. 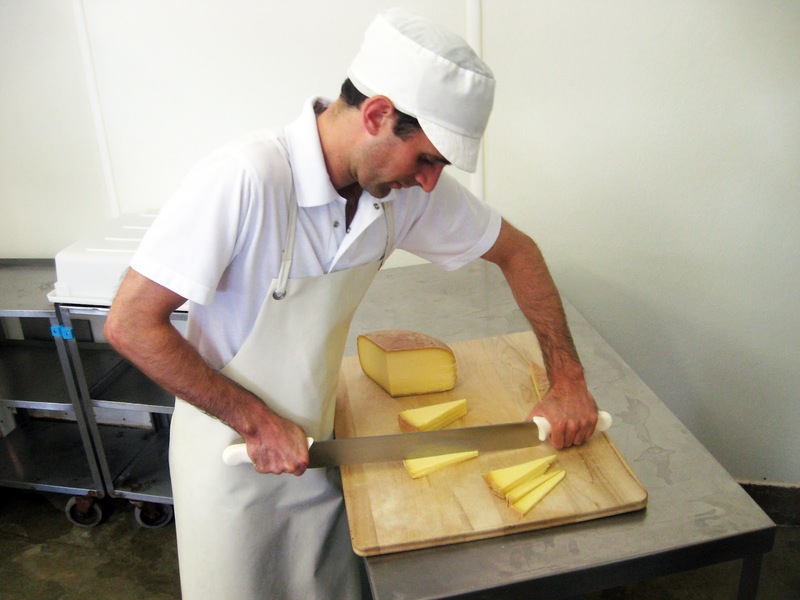 And my ultimate picnic and party cheese is the Pleasent Ridge Reserve from Uplands. Truly one of the best foods I've ever tasted. Gonna have to go with the Chipotle Chicken Tacos - we're really on a Mexican kick lately. And instead of taking cheese on our picnics, we've started taking our picnic (or more accurately, camping) to the cheese. Coincidentally, our last trip was to Governor Dodge so we could check out Uplands, Carr Valley, and one other that eludes me right now. Also, we found an AWESOME butcher in Belmont! Since I have some fresh rhubarb in the fridge, the Rhubarb Cheese Pie is pretty tempting! I would definitely bring some cheese curds on a summer picnic - portable and delicious. My husband just requested I make scallops sometime soon, so I'm going to try their recipe for Seared Scallops in Citrus Ginger Butter. Yum! I know it's the first one on the list, but I'm a sucker for anything rhubarb, so I have to go with the Rhubarb Cheese Pie. It was between the rhubarb cheesecake and the mac and cheese. The Mac won out in my heart because of the unique use of cold pack cheese. I think that I might have to make that recipe ASAP as I'm already salivating thinking about it. I would like to make the Raspberry/Lime Smoothie first because it is the perfect weather for it today....hot! 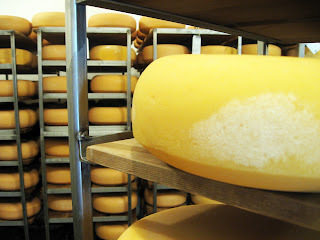 But Wisconsin Cheddar would have to be my favorite cheese because it is so versatile. Cheddar can do just about anything and go with just about anything. It is the little, black dress of cheese! As it happens, I just roasted some asparagus and have what I need to make the garlic lime yogurt sauce to put on it! My favorite cheese is Saxon Creamery's Evalon. Wisconsin cheddar is the best! The Seared Scallops in Citrus Ginger Butter sounds mouth watering! That would def be the first one I would try. My favorite cheese for picnics is Cheshire served with apples. Yum! Chipotle Chicken Tacos for sure. I'd like to try the Avacodo dip recipe! I'd love to try making the Wisconsin Cheese Garden Lasagna. The Ice Cream Over Grilled Pineapple really caught my eye! Tiramisu Smoothie would be first on the list...it looks like a superdelicious version of one of my family's favorite treats! Many thanks! I think our favorite picnic cheese is Cojack...everyone seems to love it, on grilled sandwiches, crackers or just snacking right off the tray. Cheers! I love the idea of the Berry Fresh Brick Cheese Salad. A little bit of WIsconsin to mix in with my California berries. I would kill for some fresh curds to bring along for a summer picnic. Will definitely be stocking up when I'm in Milwaukee this summer! Rhubarb always sounds interesting, so I'd go with the rhubarb cheese pie. I love fresh WI cheese curds. The Rhubarb Cheese Pie is calling my name! I have fallen in love with Wisconsin Apple Cheddar. I would make Chipotle Chicken Tacos - we love Mexican food. 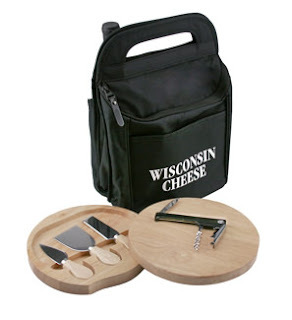 Love cheddar cheese so would take Wisconsin cheddar or Wisconsin Apple cheddar on a picnic!